Another year, another great set of new apps that hit the iOS store. 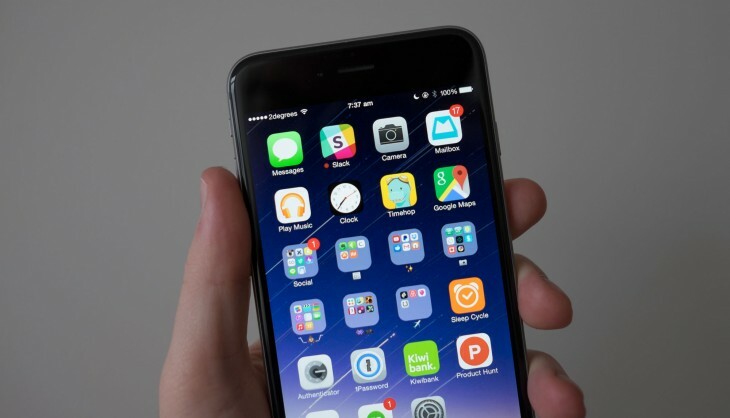 As you unwrap your new iPhone or iPad, get these apps installed on your new device! More of an Android person? Check out 60 of the best Android apps launched in 2014. 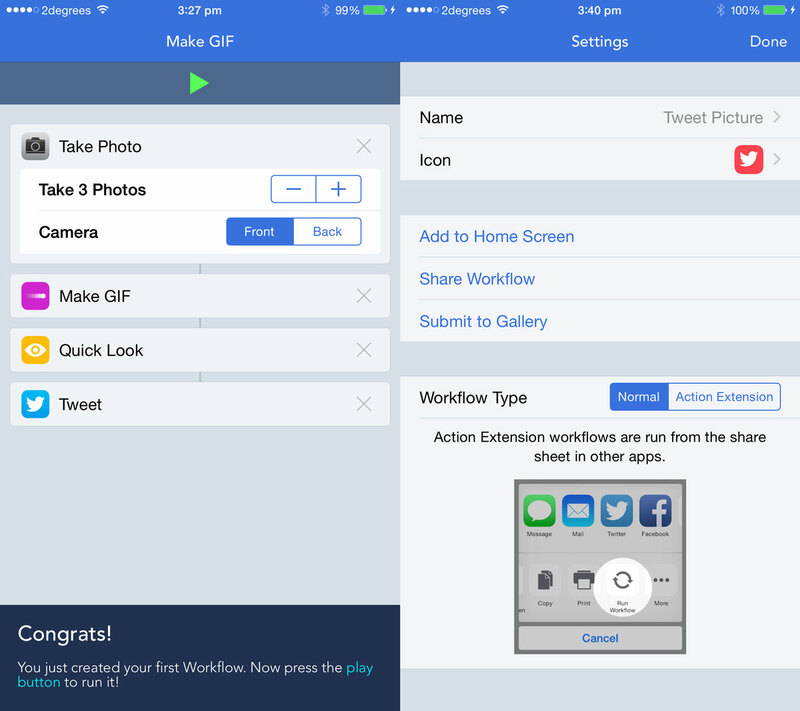 Hot off the presses, Workflow is a new app that makes it easy to automate processes on iOS. Want to make a GIF of your face, just by hitting an icon on your home screen? Easy! This is the missing app that iOS 8 finally made possible. Google unexpectedly launched an ambitious overhaul for Gmail this year and the Inbox iOS app is the mobile counterpart for the new email experience. It’s invite-only, but offers a beautiful new take on email with Google’s Material Design and a bunch of great new features. This simple and elegant time-tracking app makes it easy to track your progress on any task with a single tap. You can view how you spent your day in timeline mode, use the iOS 8 widget to start tracking without even opening the app and more. 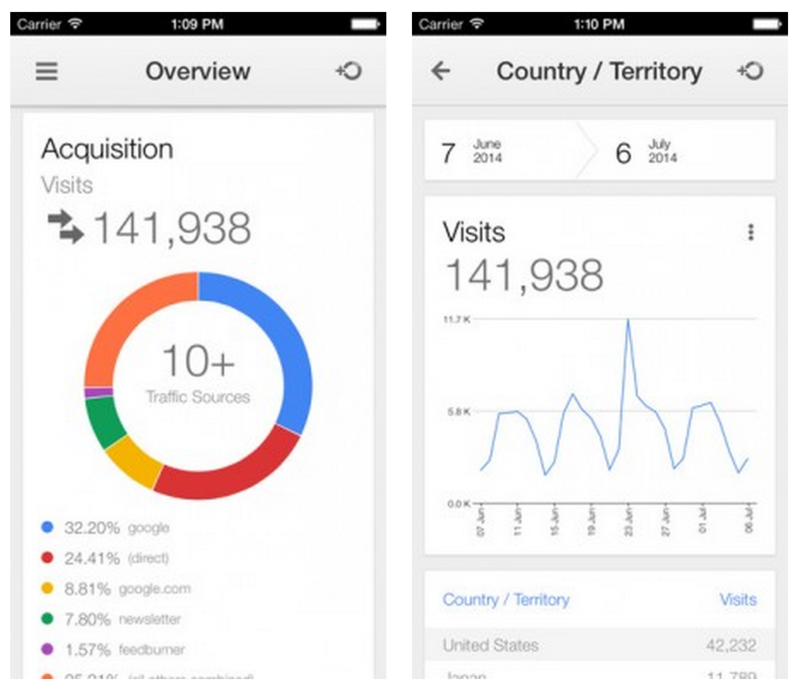 Analytics finally came to iOS this year, so you can obsess over your website’s statistics on the go. It features the ability to view your real-time visitor statistics, along with your history and trends as well. 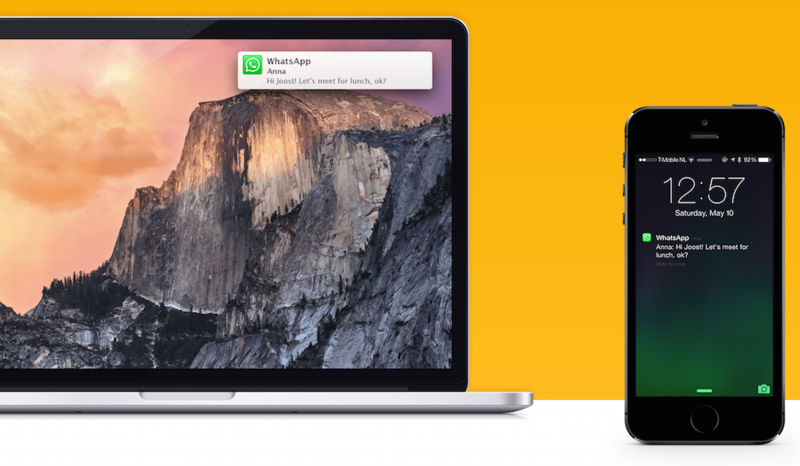 Receive iOS notifications right on your Mac! This app allows any third-party app to send your iOS notifications to your Mac screen; handy for knowing if you’ve got messages in a mobile-only app like WhatsApp messenger. 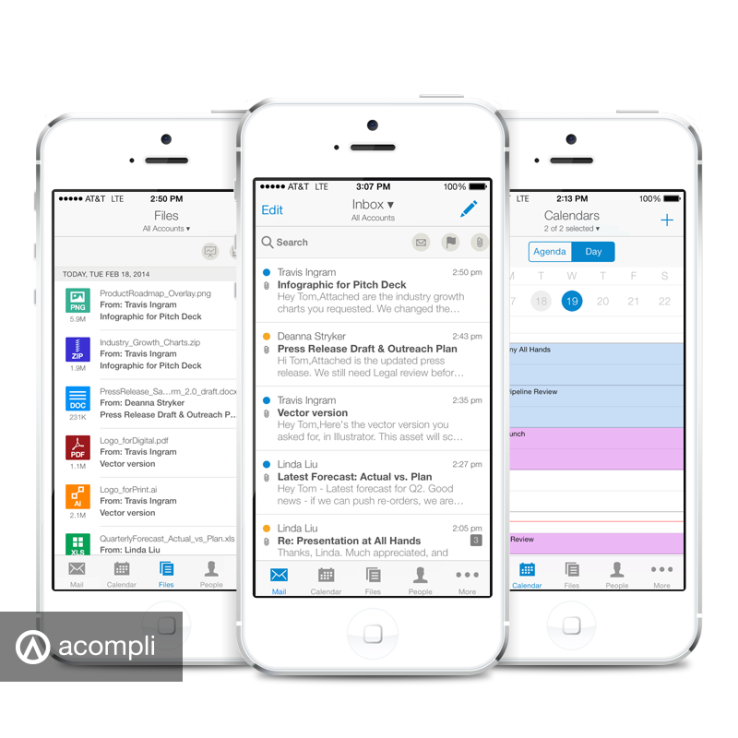 Perhaps the best new email app on iOS all year, Acompli brings together your calendar, contacts and cloud documents in a single inbox. Not only is it free, it works with Gmail, Exchange and other accounts flawlessly. So good, in fact, that Microsoft just purchased the company. 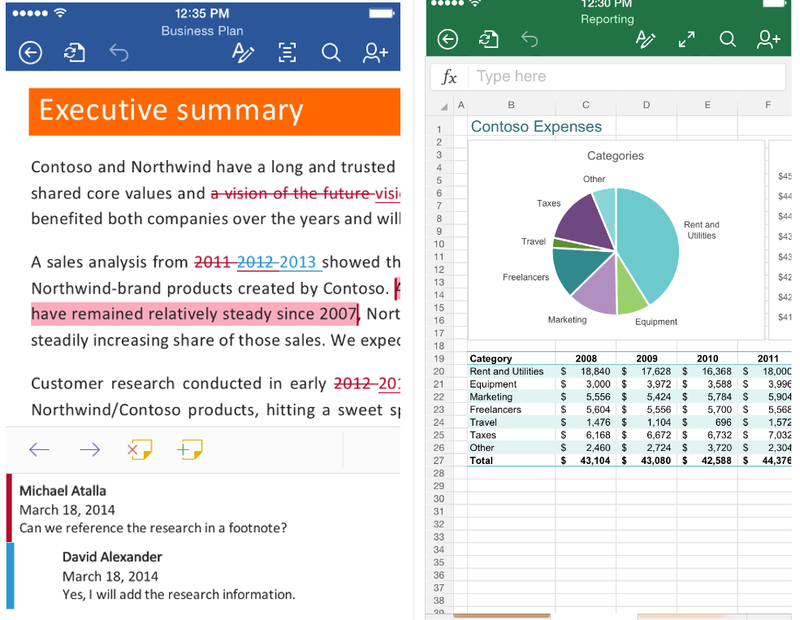 2014 was the year that Microsoft finally set Office free on iPhone and iPad, quite literally. You can now get Office for free on your iOS devices so you can edit or view your documents on the go. It might not be exciting to edit documents, but it’s good that you can do it using Office now. 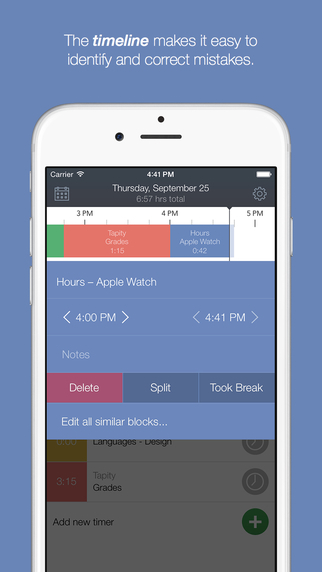 This calendar app for iOS is all about one thing: great design. We called it a “simple, beautiful” calendar app for iOS that’s loaded with great design, unique gestures and keeps everything simple. The latest app from legendary developer Panic is for uploading/downloading your stuff from FTP/SFTP/WebDAV servers right from your iOS device. 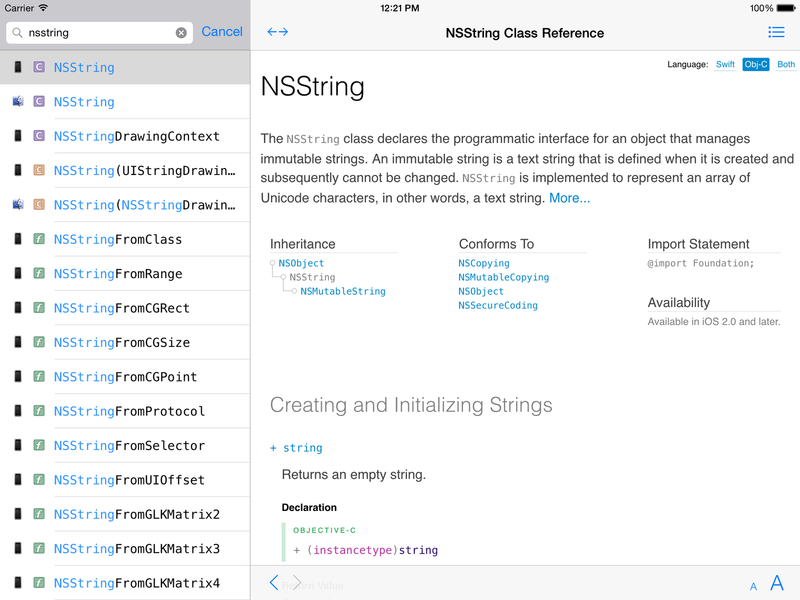 It’s beautifully-designed and feature packed, just like its OS X counterpart. Spring is a new way to shop on your phone: follow brands you like, get exclusive deals, check out collections and swipe to pay in seconds. It allows brands to have a customizable digital storefront; almost like a shoppable Instagram. This app basically makes the mall obsolete; you can buy all the stuff you need, without ever leaving the app. Best of all? Spring already supports Apple Pay. The newest app from Amazon allows you to get your goods sent to you with same-day delivery. Prime Now allows you to use an exclusive app to order items and track their delivery in areas that support it. 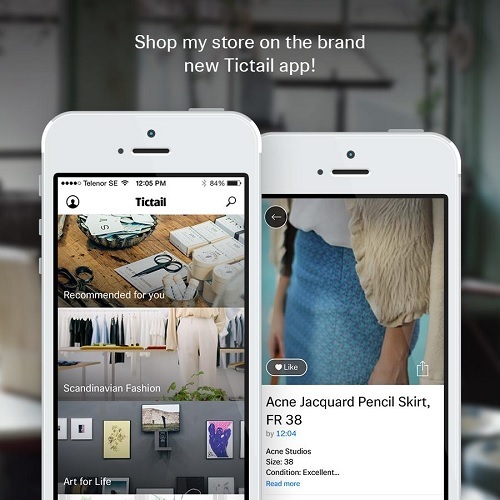 TicTail has been touted as the “Tumblr of e-commerce” and its mobile app makes it easy to surf through boutique goods from over 55,000 small stores. There’s everything from clothes to furniture available for purchase in the app, and TicTail makes it easy to buy anything for delivery with a single tap. 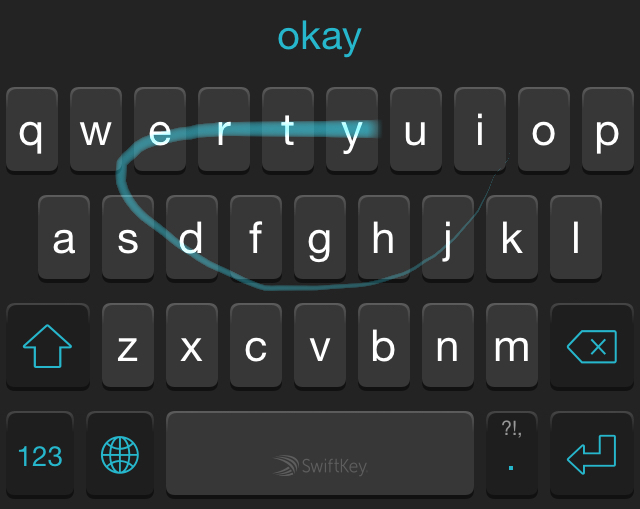 A unique new keyboard for iOS that brings a different take on autocorrect to the platform. We reviewed Crimson and loved it; if you love the autocorrect style found on new BlackBerry phones, this is the keyboard for you. Obsessed with Emoji? This keyboard can automatically convert everything you write into emoji. It’s genius and crazy addictive. The famous keyboard from Android that lets you type by gliding your finger around finally made it to iOS when Apple delivered custom keyboard support. It’s one of the best keyboards available. One of our absolute favorite apps of the year, Wire is a beautiful new messenger app with well thought out design and great features to match. 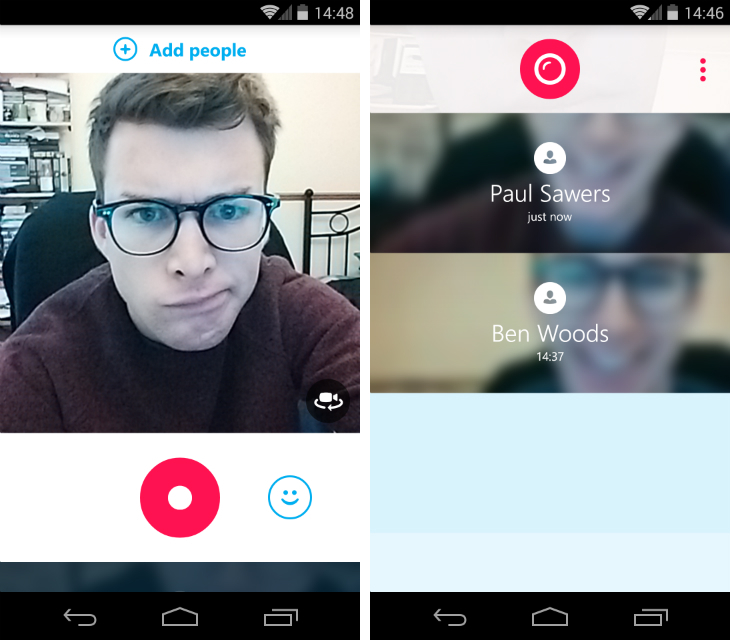 The app puts your pictures front and center, where they should be, and gets out of the way to make messaging easy. 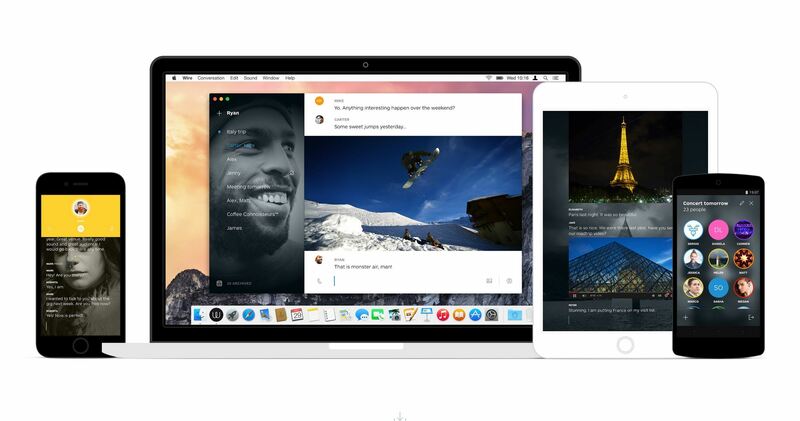 Available at launch for iOS, Android and Mac, Wire was backed by an ex-Skype founder who wanted to find a better way to do messaging. 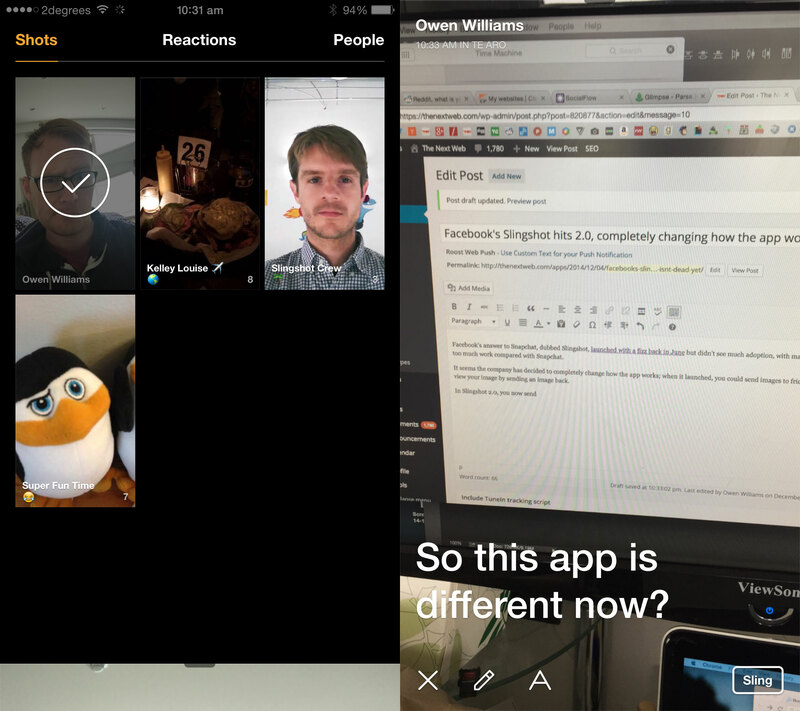 Microsoft and Skype wanted in on the ephemeral app craze, so Qik was born. Qik lets you send quick video messages to friends that self-destruct in two weeks and create GIFs of yourself in a few seconds. Qik is a fun way to send videos back and forth with friends quickly; check out what we thought earlier in the year. The new Bebo is here and it’s not a social network anymore. 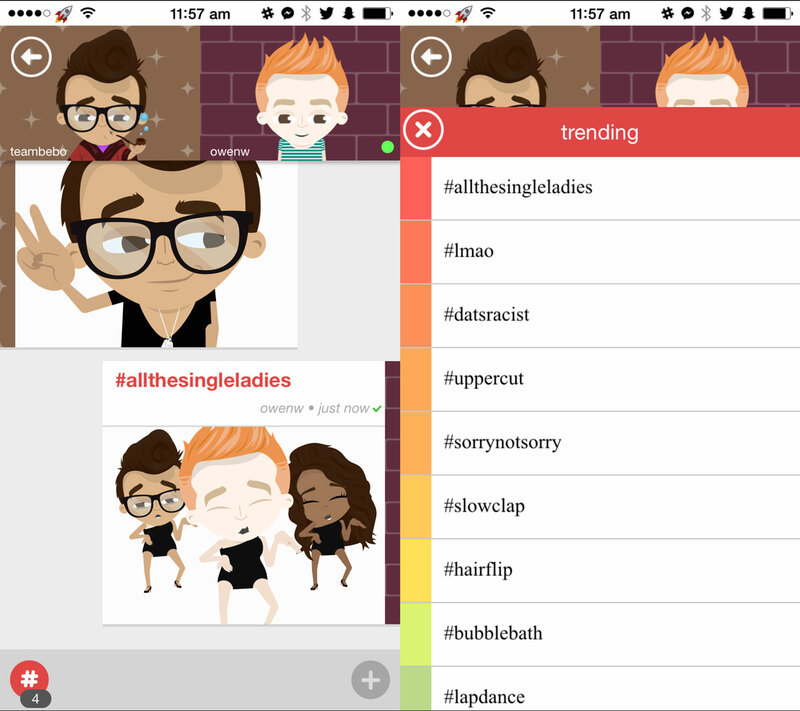 Instead, it’s a messaging app with a quirky take on hashtags. Bebo doesn’t use profile images like other apps; you create a custom avatar in your likeness which can do all sorts of things based on what hashtag you drop in a conversation. When you say a hashtag like #twerk in a conversation, your avatar twerks for your friend. There are hundreds more in the app, with some doing interactive things like #draw. 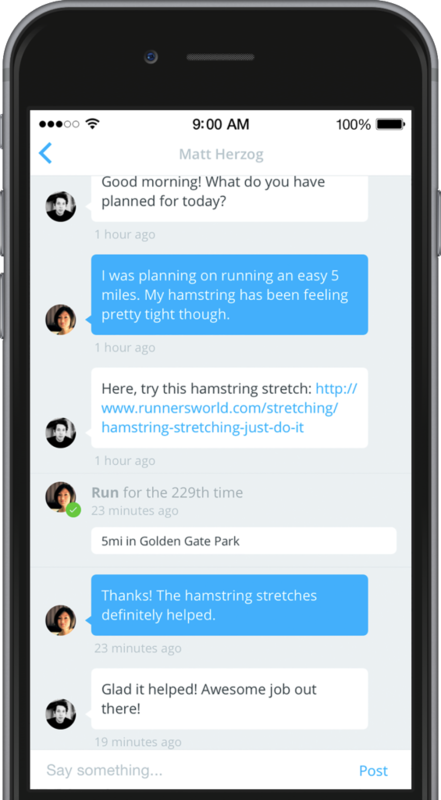 One of our favorite apps this year, Path Talk will change the way you interact with businesses. This app allows you to send quick messages to businesses (just like text messaging) so you can book a table or check if something’s in stock without ever needing to call. The best part is that even businesses that aren’t using Path Talk are on the app; Path actually calls them up with your request so you don’t have to. It’s magical. Former Microsoft executive, Ray Ozzie, launched his new mobile messaging app that focuses on bringing people and teams together. 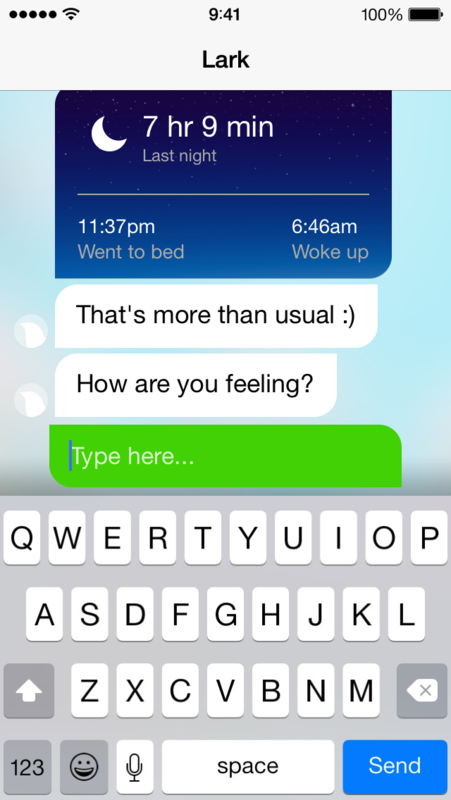 The app has a push-to-talk style feature that allows you to instantly talk with people that are available but otherwise save that message for later for those that aren’t. Talko is an impressive push to bring back audio messaging to the mainstream, rather than just offering a messaging app. Facebook launched Slingshot, its Snapchat competitor earlier this year to much fanfare, but it didn’t quite stick with users. Just a month ago, the company launched a completely overhauled Slingshot 2.0 that makes it easy to share a stream of photos from your day with friends. 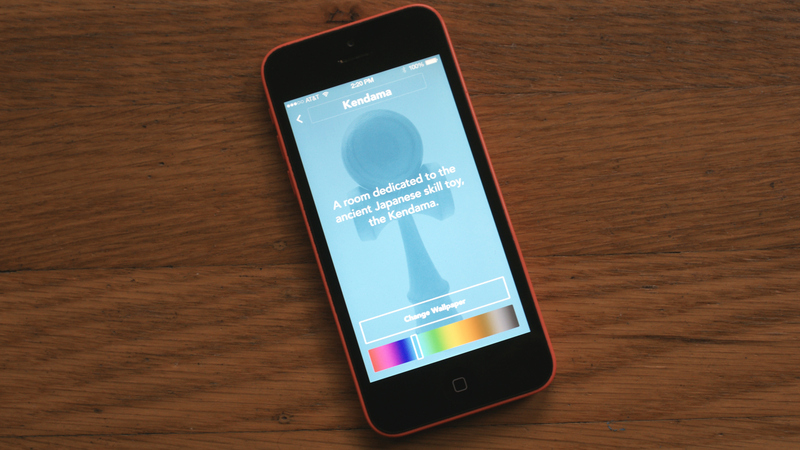 It’s addictive, fun and might just be your favorite new app. 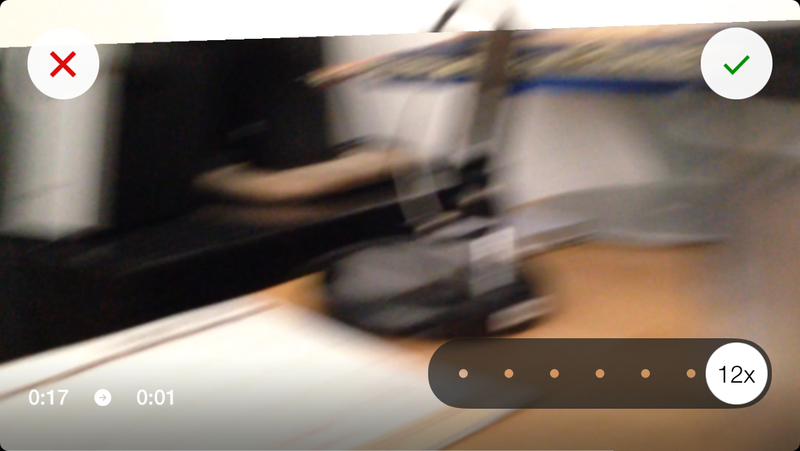 I love the new Slingshot; it’s become one of my must-use apps. Facebook’s on a roll with separating out its functions into many apps. 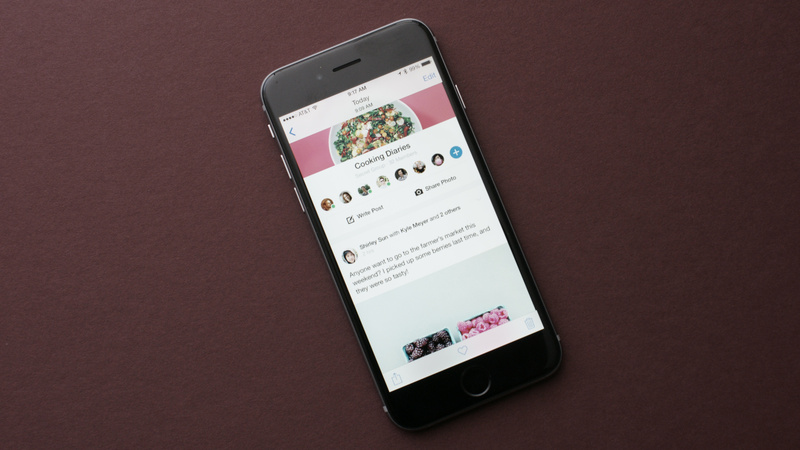 The new Facebook Groups app makes using groups on the social network while mobile even better. 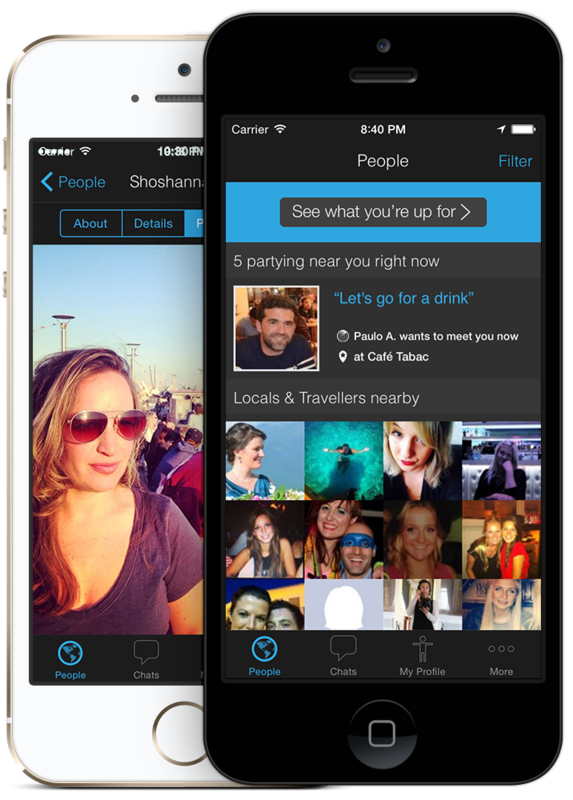 The app helps you discover new groups, interact with the ones you’re part of and manage your own group. It’s got an adorable design and is a great standalone option for users who use Groups frequently. Another new app from Facebook is like a forum platform for your smartphone. The Rooms app allows you to create a room about anything for discussing whatever you like with friends or complete strangers. Rooms feels like a throwback to the old days of the internet and that’s great. 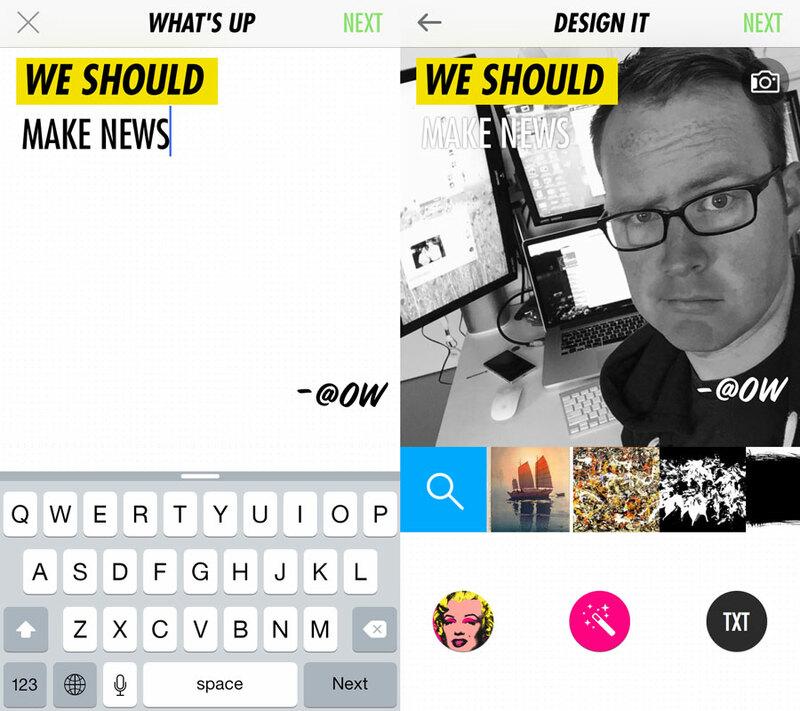 Twitter co-founder’s quirky image remixing app launched last month, which allows you to share your thoughts overlaid on top of an image. Super is a fun way to share a random thought you might not otherwise share on Facebook or Twitter and see the thoughts of those around you. 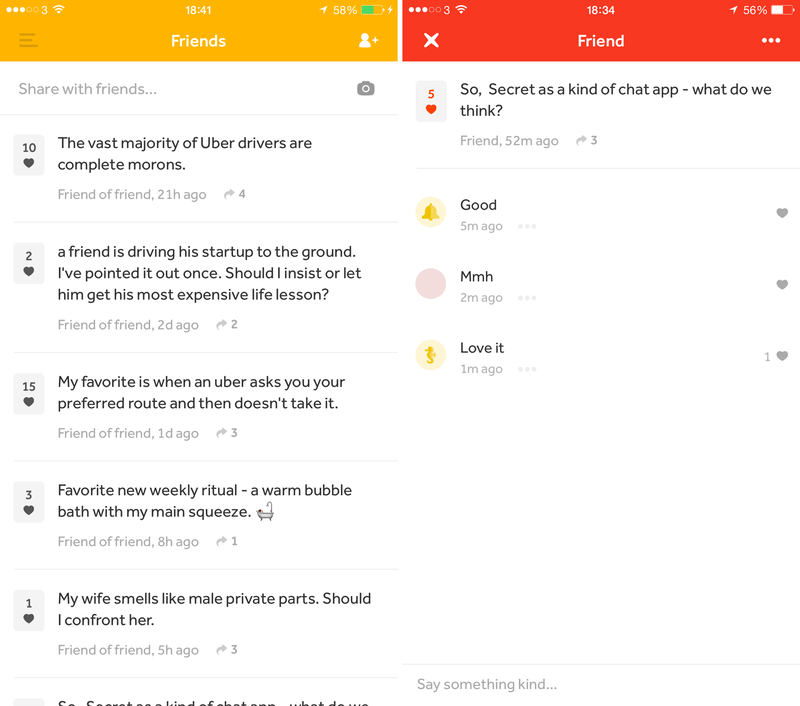 Secret’s anonymous social sharing app rebooted this month as a friction-free anonymous chat app (with stark similarities to competitor Yik Yak). The new app focuses on sharing something with either just your friends or people in your area and then offering real-time chat about it. 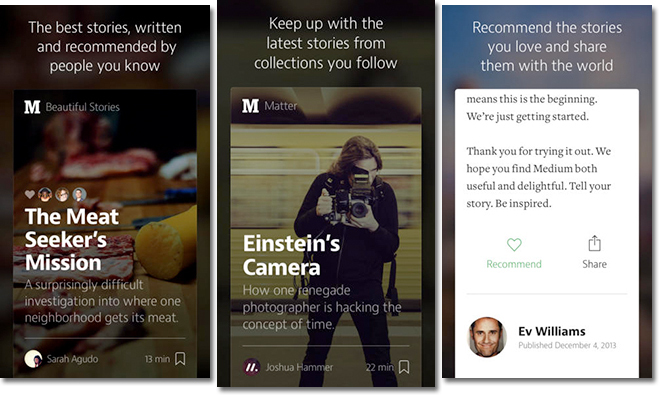 If you’ve got something you need to get off your chest, Secret is a great option. This is the app you need to help you organize all those last minute things that everyone forgets when heading overseas. Travel Butler offers an automatic packing list by tracking the weather at your destination and making clothes recommendations. 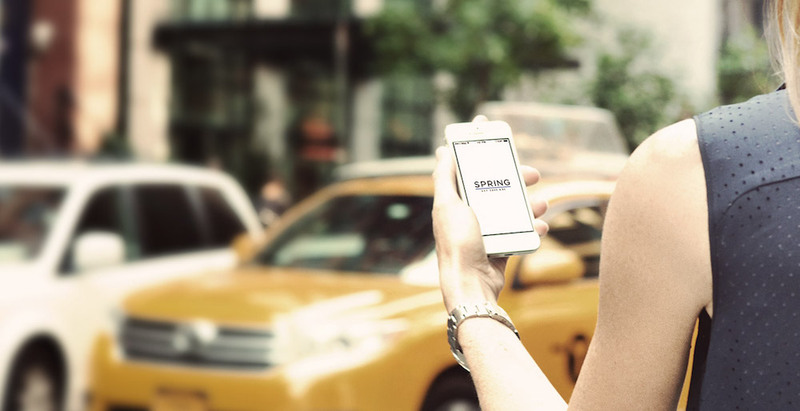 The app also makes recommendations for food and activities in the city you’re going to. Foursquare’s audacious plan to split into two saw the creation of a new app for checkins and seeing what’s up with friends. Swarm now lets you check-in like you remember on Foursquare and share more about where you’re traveling. 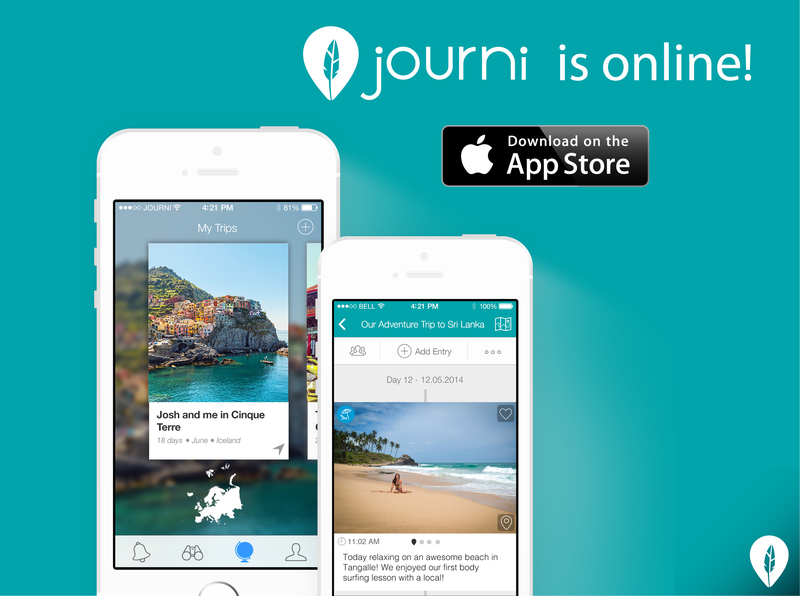 It’s important to make memories; Journi helps you remember everything about your travels by reminding you to write in your offline travel journey every day and adds GPS info to each entry. You can share your travel diary with friends, get it to send friends updates automatically or just keep it offline for creating your own memories. 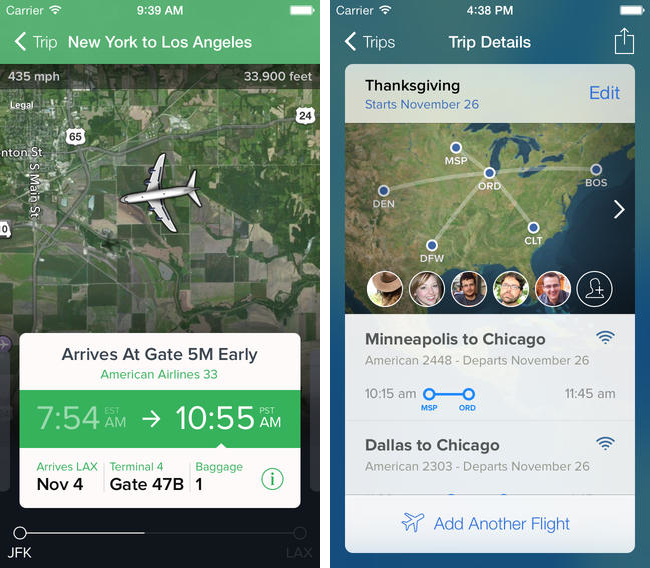 Perhaps the most gorgeous app for tracking flights out there, this app is killer for keeping track of your upcoming and in-progress flights. Flight Track 5 can auto-import your flights, show real-time maps of in-progress flights and keeps you up to date with the status of upcoming flights. It’s definitely the best looking way to keep track of everything when you’re flying. The thing with traveling somewhere new is that it’s hard to actually meet new people. But hey, there’s an app for that now. Party with a Local does exactly what the name suggests; it connects travelers with a local who wants to party so you can have good times like you’re hanging out with an old friend. Looking for the perfect price on a flight to your dream destination but can’t find it? 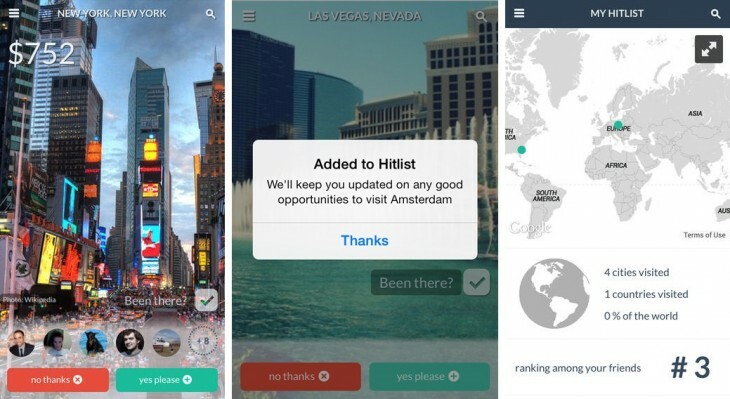 Hitlist is the app for you. Add the destinations you want to visit to your “hit list” and the app automatically checks for the lowest possible price and alerts you that it’s available. It’s a traveler’s best friend. My absolute favorite news app this year is Nuzzel; you plug in your Twitter account and it automatically looks at the links your friends are tweeting to surface the very best links and news being shared. Nuzzel is a great way to keep up with the very latest, without having to scroll through all the Twitter backchat to get it. 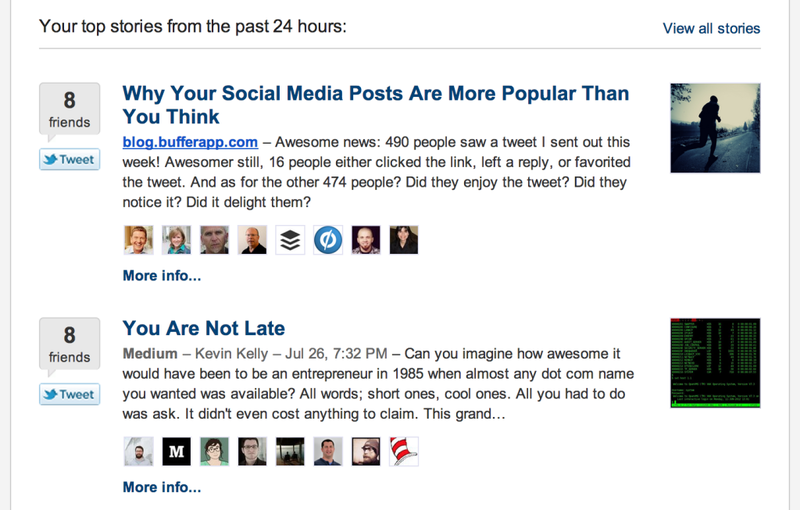 Can’t get enough of reading great stories on Medium? Neither can anyone else. The company has its own iOS app for reading only, so you can get the great Medium experience right on your iPhone or iPad home screen. 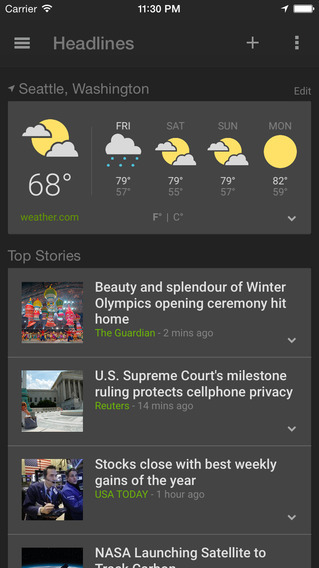 Not to be left out of the party, Google launched its News and Weather app from Android on iOS this year, with a lovely clean design and the latest news from 65,000 publications. Don’t have time to read entire books, but wish you did? 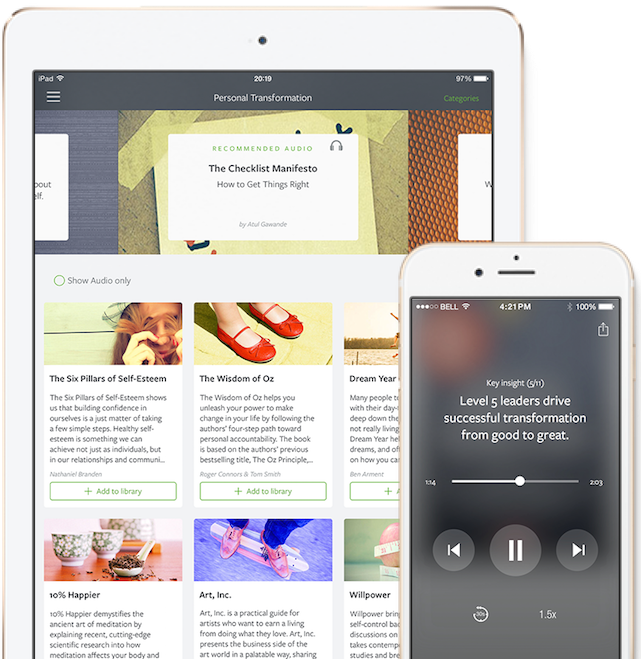 Blinkist is perfect for you; it offers summaries of the key points of books that you can digest in small packages so you can get the gist without even reading the entire book. The service curates the very best books, offers them in easy to read packages and is perfect for reading on your iPad. 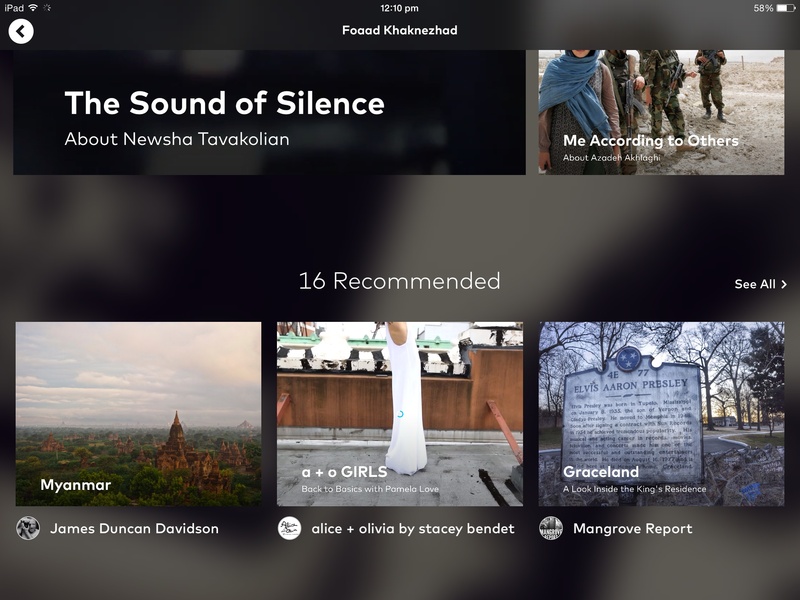 Circa, the time-saving personalized news app, isn’t exactly new but the company launched an entirely new design this year that really makes it worth highlighting again. The newly updated app focuses on offering daily recaps, so you can feel informed about what’s been happening at the end of your day. The bite-size news is perfect; you don’t need to hunt through long stories for the important bits; Circa pulls them out for you. Touted as “Twitter’s front page“, this app automatically looks at the biggest Twitter trends and pulls out important tweets from them, as well as offering explanations as to why exactly items are trending. 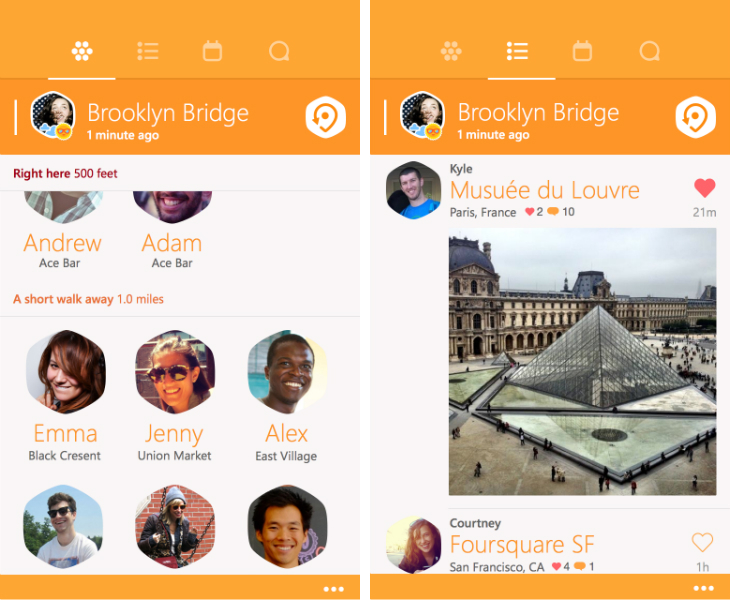 It’s like the perfect guidebook for a social network that seemingly moves faster than light. You’re probably familiar with VSCO Cam by now; the app got a huge update this year when it bumped the version to 4.0. Not only did the app get a stunning new design and a ton of new filters, it’s also available for iPad now and works with photos straight off a DSLR. VSCO Cam is my app of choice for tweaking photos; the filters are worth the money and don’t kill the photo like many other apps do. It’s great for quick tweaks to photos downloaded straight from a DSLR. 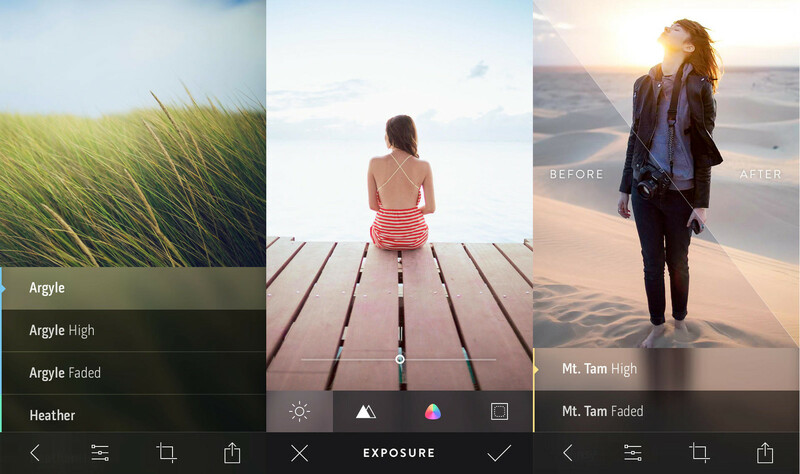 This gorgeous new photo app makes it easy to tell your photo story. Om Malik wrote recently that on the visual web, a picture is worth more than a 1,000 words and Storehouse is perfect for telling that story. You can lay out your photos how you want, embed videos and share stories with your friends on a beautifully laid out page. Storehouse is the perfect way for showing off your photos; particularly if you’re traveling. 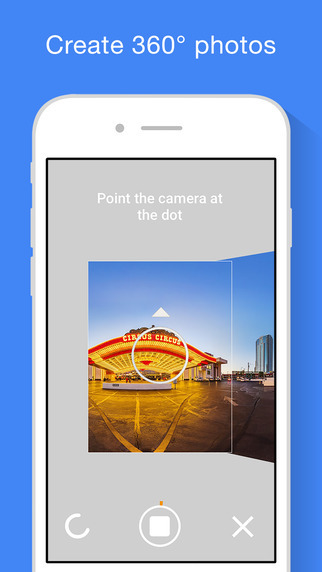 Android’s fabulous photo sphere camera has finally made its way over to iOS. Install this app and you can make delightful 360-degree photos with ease, just like your Android friends. 2014 saw Instagram’s foray into splitting out apps from its main one; Hyperlapse is a addictive little app that makes it easy to share super-smooth videos from your phone. Film whatever you like using Hyperlapse and it makes a crazy, sped-up time lapse within seconds. It’s great for filming planes taking off or just a tour around your house. This fun new app lets you share tiny pictures and looping videos to a 24 hour rolling feed of images from your friends. It’s a fun little app that lets you share any random moments during the day, in a slightly different way. 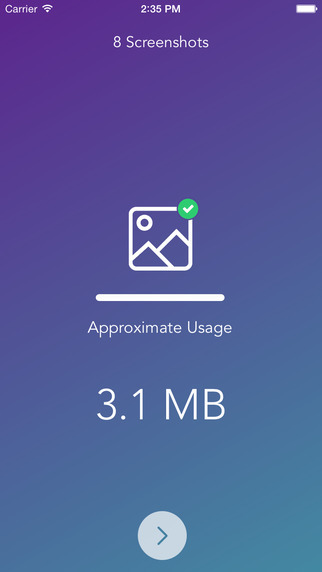 Dropbox’s Carousel app wants to be the center of your photo world; it’s a gallery app that makes it easy to share photos with friends, as well as backing up your images to your Dropbox. Carousel also got some new tricks lately; it can free up space on your phone by deleting images that have already been backed up. It’s a no-brainer to install this one. If you love GIFs, this is the perfect app for you. Pop mashes up video from your camera with popular GIFs from the internet. You can search any GIF on Giphy’s search engine and quickly make the perfect reaction GIF featuring your face. What’s not to like? Filters aren’t entirely fashionable anymore; Litely makes it easy to tweak your images without the heavy editing filters encouraged by apps like Instagram or VSCO Cam. Full of beautiful, but subtle editing presets, Litely makes every image you take look gorgeous. 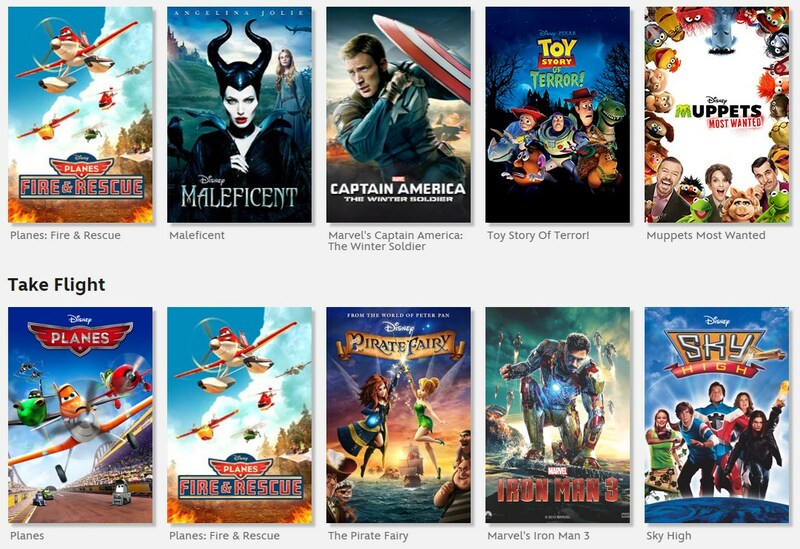 Disney’s new app that lets you watch 400+ films from the company on your iPhone or iPad was made available for the first time in 2014. This app is an absolute boon for parents who want to give their kids a great film to watch on the go. iTunes is great for renting and buying films on your iOS device, but more choice is always good. 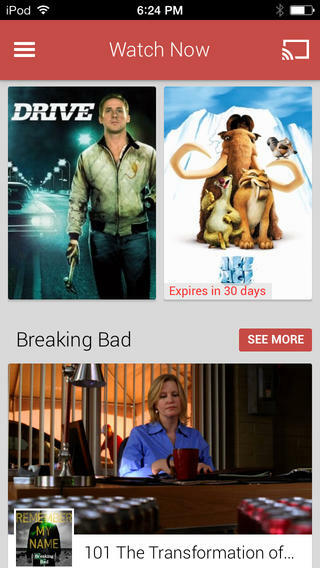 Google launched its Play Movies & TV service on iOS so you can stream your purchased movies on the go! The app features playback of already purchased content as well as the ability to play films and TV offline, but you’ll need to purchase content from your computer or Android device first. Another of our favorite apps this year, Reporter is a great way to privately track your life so you can get some visibility into your habits (or lack thereof). Reporter notifies you at intervals throughout the day with questions so it can get data points. It’ll ask things like “who are you with” or “are you working” so you can get an overview of your habits. Every excuse to get moving is a good one; 7 Minute Workout is another of our favorite apps this year that helps you get moving by doing a quick workout every day to improve your fitness. There’s nothing quite like a bit of mocking to motivate you to lose weight, right? 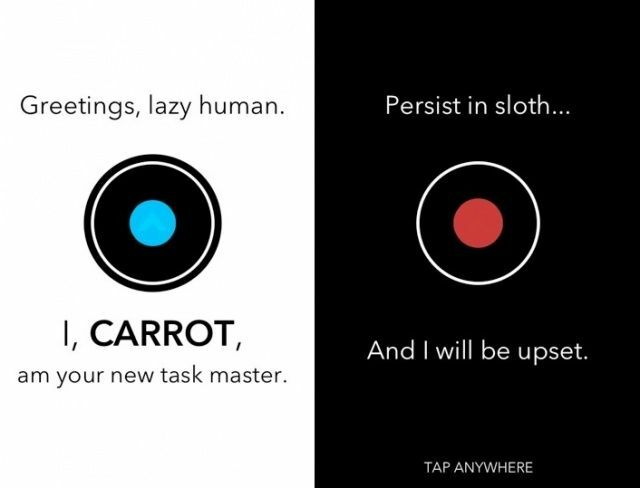 Carrot for iPhone does exactly that; you weigh in, it mocks you until you do more exercise. Carrot really is a legitimate fitness app that tracks your weight; it just has a fun twist that might just motivate you to get outside and go for a run. Another unique take on fitness, Lark helps coach you to be healthy. Instead of offering up insults like Carrot, Lark guides you on your fitness journey by offering up conversational fitness tips as you enter data. Lark also hooks into HealthKit and uses the iPhone’s motion processor to track your data, so it can be shared across other apps too. 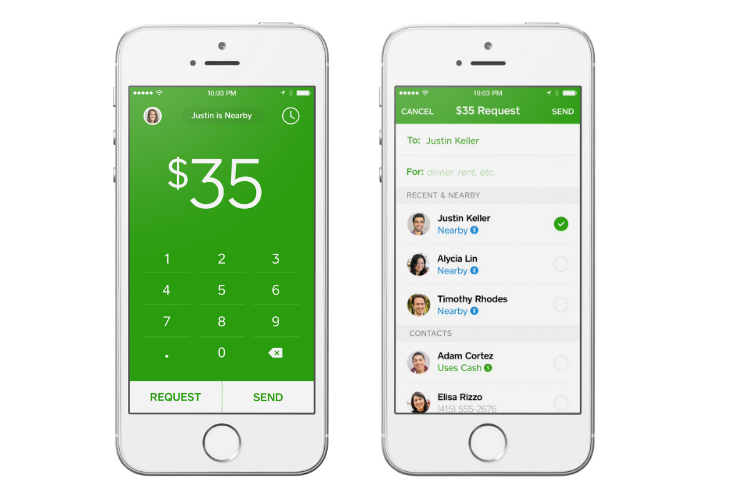 Square Cash may have launched in 2013, but it hasn’t stopped since. The company has added Bluetooth payments, integrated with Snapchat (dubbed Snapcash), added SMS payments and more. This app is a must-have if you like money. Currency conversion can be beautiful too! 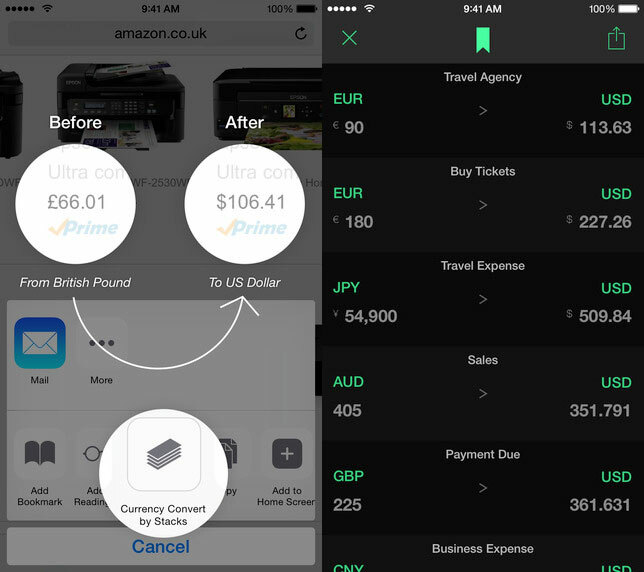 Heralded as the first iOS app that lets you do currency conversion directly in Safari using iOS 8’s extensions, Stacks is a beautiful app that’s great at helping you figure out what your dollars might be worth overseas. Marco Arment’s long awaited podcasts app finally landed in 2014 and it doesn’t disappoint. Overcast is the most beautifully-designed app for automatically downloading podcasts and listening to them. 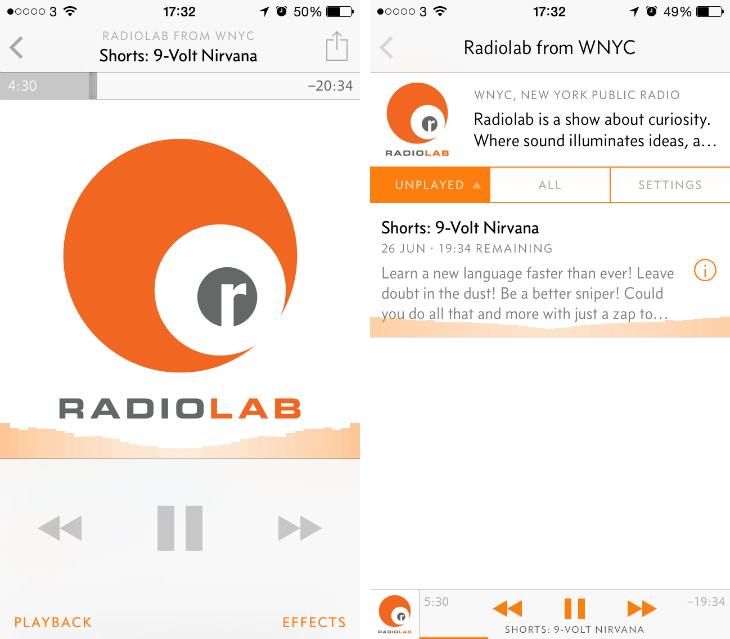 Overcast sports a number of unique features, like “smart speed” which automatically speeds up silences in podcasts. Is your iPhone’s camera roll filled to the brim with screenshots? Us too. This nifty little tool fixes that by automatically detecting them and deleting them. Lift, the app that wants to help you self-improve, got a big update this year that adds 1-on-1 coaching to help you reach your goals even more effectively. For just $15 a week, Lift coaches can help you with anything from training you to get more things done, to get to Inbox Zero daily or to get fit. 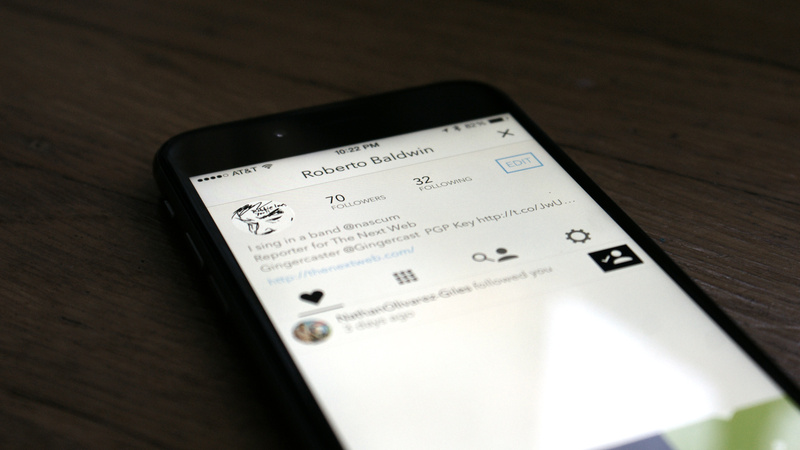 The best way to find great startups is undeniably Product Hunt; now it’s on mobile! Now you can get your hunt on no matter where you are. Product Hunt for iOS means you can find startups, vote your favorite products on the go, comment (if you have access) or submit something new. Developers that are on the go a lot need Dash, the API reference app that offers offline access to 150+ API documentation sets. Sharing your home screen is the cool new thing and #Homescreen helps make your screenshots interactive so friends can find the cool apps you’ve got without having to ask. The app also helps you share screenshots on social media and provides trends on the most popular apps. The popular Star Walk developer is back with an entirely overhauled new app for exploring the stars. Star Walk 2 has an entirely new look, a new soundtrack, new artwork and more. 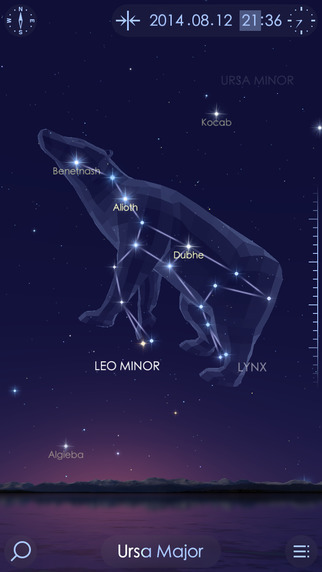 Star Walk is the perfect app for those beautiful starry nights and figuring out which star exactly you’re looking at. 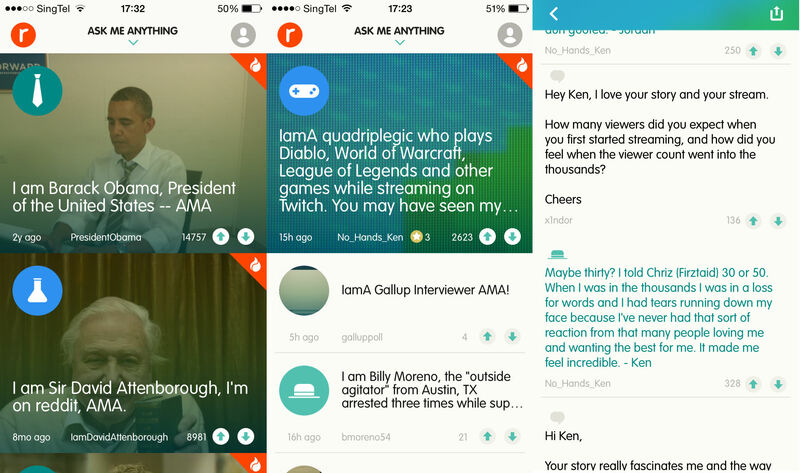 AMA is Reddit’s first foray into building its own app and it turned out great. Reddit’s “Ask Me Anything” has proven extremely popular, so the app makes it easier than ever to browse the question and answer threads, as well as keeping track of upcoming appearances. This is the best game released on iOS this year, period. 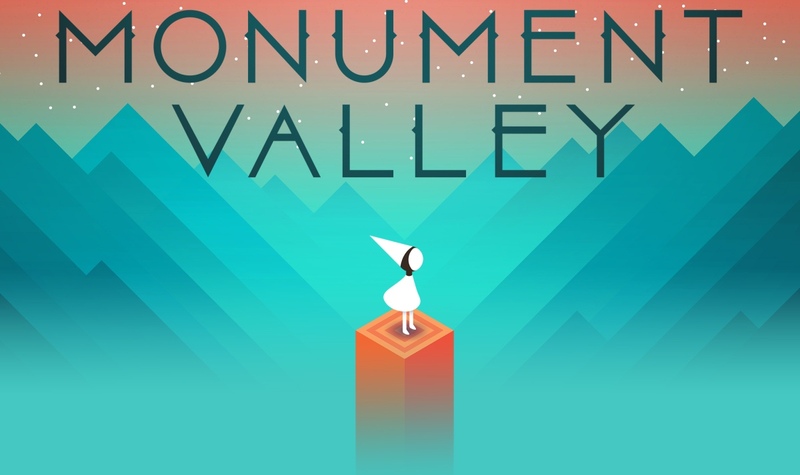 Monument Valley is not only beautiful, but addictive. The game is a puzzle game with impossible architecture, illusions and incredible illustration. It’s deserving that Monument Valley won an Apple Design Award this year. Just a few weeks back Monument Valley got a new level pack “Forgotten Shores” for $1.99. This game is well worth the money. 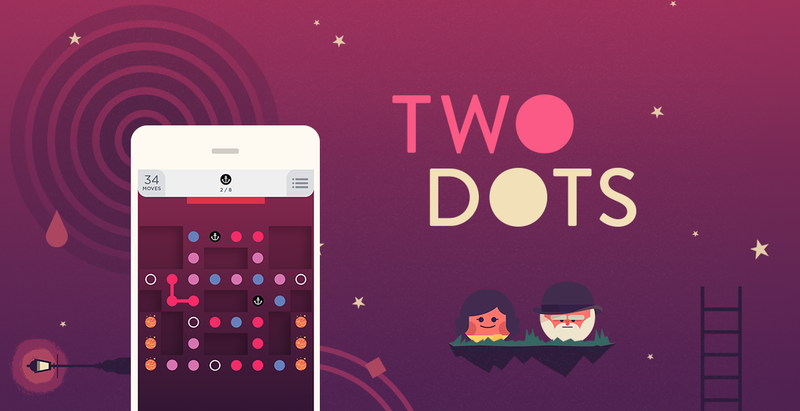 TwoDots, the most addictive game of all time, is the follow-up to the smash hit “Dots” which got us all non-stop connecting the dots. The new game brings a seemingly endless amount of levels to play, with a ton of new challenges and level types for ruining your productivity. You’ve got a set amount of lives to complete the level, otherwise you’ll have to wait out the clock or pay for more lives. Yes, there are in-app purchases but TwoDots doesn’t try and push these on you like other games. It’s a great, addictive game that anyone with an iPhone should be using. Google’s popular augmented reality game finally came to iOS this year. You play in the real world, capturing portals from the enemy teams by standing nearby them. It’s good fun and has a fairly large player base right now. Remember that infuriatingly hard Flappy Bird game? 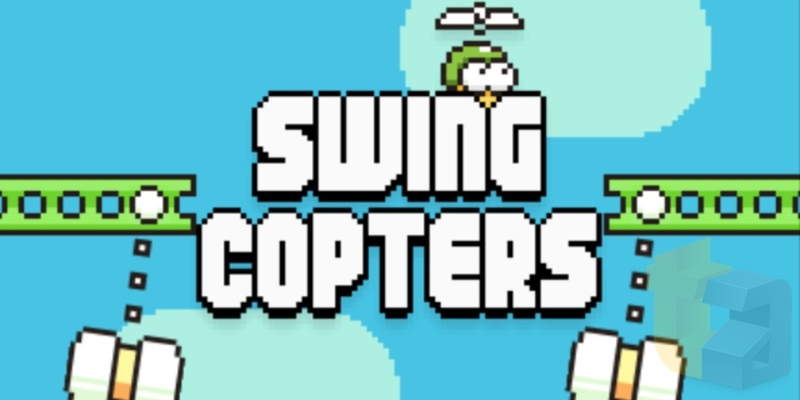 The developer released a new one called Swing Copters after pulling Flappy Bird from the store. The new game is similar, except you head upwards instead, dodging hammers and other moving objects to get through as many gates as you can. That’s our top iOS apps of 2014. Want more? 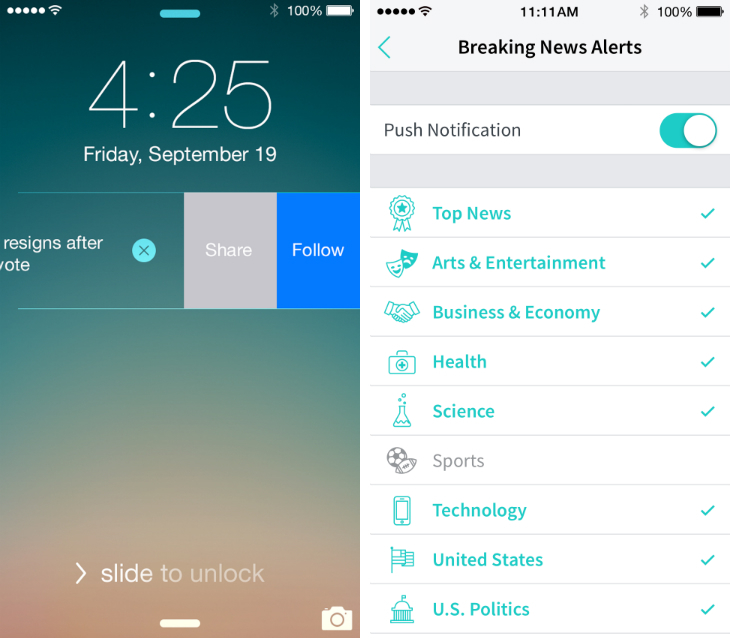 Check out our monthly roundups of new apps. Let us know your favorite app in the comments!